Many people assume that financial services companies aren’t a natural fit for referral marketing automation. Transactions tend to be binary and “unsexy.” And sharing a financial experience isn’t as straightforward as raving about a new apparel brand or consumer product. So, does referral marketing really make sense for financial services? 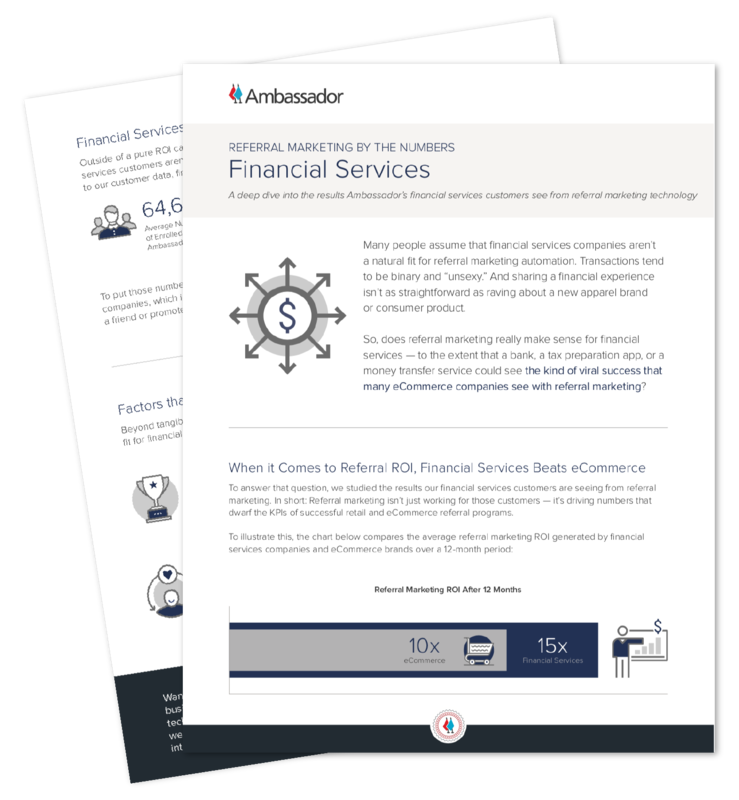 To answer that question, we studied the results our financial services customers are seeing from referral marketing. In short: Referral marketing isn’t just working for those customers — it’s driving numbers that dwarf the KPIs of other successful retail and eCommerce referral programs.